‘Love, wisdom and irrepressible joy shine through the pages of this book.’ – Tim Freke, best-selling author. New books, teachings and events into your inbox plus the introductory video training and pdf ‘ 7 Key Insights of a New Earth Ninja; the Science of Thriving and Being the Change’ and sample chapters of Will’s first book! 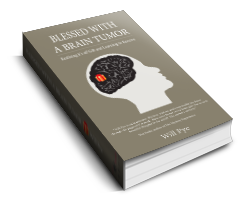 ” Will Pye is the real deal ; a dharma teacher with chops!” – Dr Rick Hanson, New York Times Best-selling Author, Teacher and Neuropsychologist. Serving personal and collective transformation is my ultimate purpose and greatest joy. By guiding others to their deepest truth and greatest power more fulfilling and joyful lives naturally follow. In this way a new world continues to emerge; a world built upon the truth of our interbeing and arising from our realised love. I love what I do. It’s fun witnessing what were perceived to be problems disappear as a new way of seeing is discovered. It’s a delight being present as another notices inner peace was here all along and releases suffering. It’s a privilige to observe life-changing breakthroughs. After 15 years of intensive research and experimentation into the nature of human experience and potential I share the most effective means to transform and flourish. Focuses include how to use our greatest difficulties and challenges to catalyze personal growth, discovering life’s purpose and altering our lives by altering our perception. Ultimately I point to and share the unconditionally loving presence we are. By guiding and inspiring a deeper realisation of this presence latent capacities and songs unsung are uncovered along with the freedom to express these gifts and serve more fully. We are each goddesses and gods, we need not get by or merely endure – we can create a new world together in joy. Perhaps you seek to realise what you are, clarify your life purpose and in some or every way transform your life. Maybe you want to stop seeking and enjoy being. You might not know what you want yet feel sure there is ‘something more’. I would love to support your exploration; click on Services for how I may be able to serve you. Transformation Facilitation (Transform), Healing Guidance (Heal) and Spiritual Mentoring (Awaken). 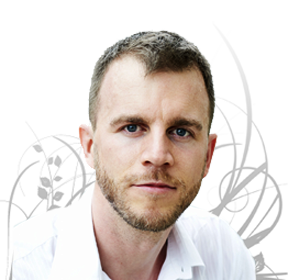 Will is a highly accomplished public speaker available for conferences and events aligned with his mission. Playshops are a highly effective tool to turbocharge healing, transformation and awakening.